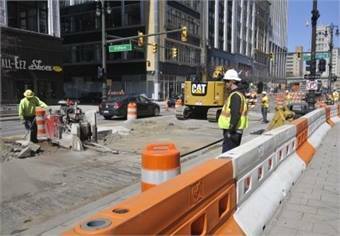 DETROIT — Officials announced Friday that construction work will begin July 28 on the city’s M-1 Rail streetcar line. Earlier this week, the City Council approved officials approved permits to pave the way for construction on the $137 million, 3.3-mile line up Woodward Avenue from downtown to Midtown, The Detroit News reported. Meanwhile, M-1 officials say they are down to two streetcar vendors and should be receiving proposals for “the best and final” offers in the next few weeks, according to the report.